This is a breeding that comes full circle for me. 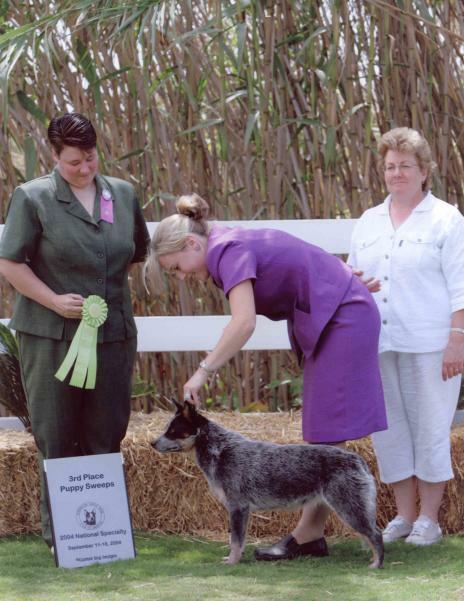 Our very first litter was quite successful and the sire was Pete, the dam our Jetta. 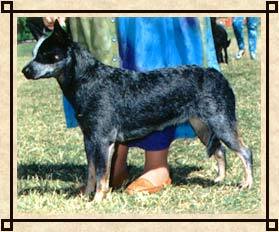 Elita is a granddaughter of Jetta making this a similar breeding. For me, this breeding is a tribute also to 2 men. To Steve Waltenburg, along with his wife Julie, of Trail's End ACDs. 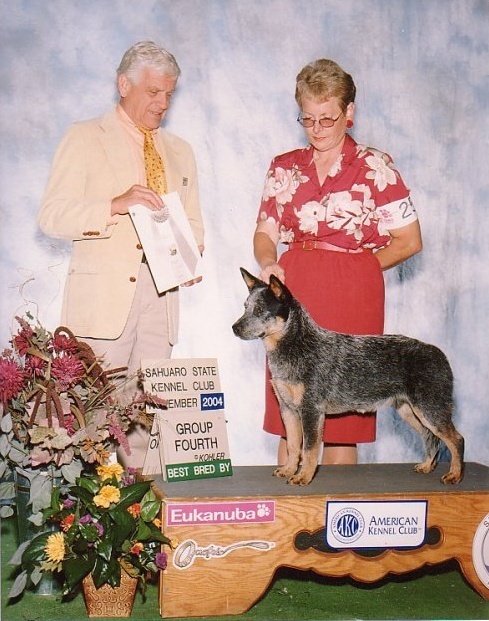 In some ways, to me, Steve was the California Tiger Woods of herding. 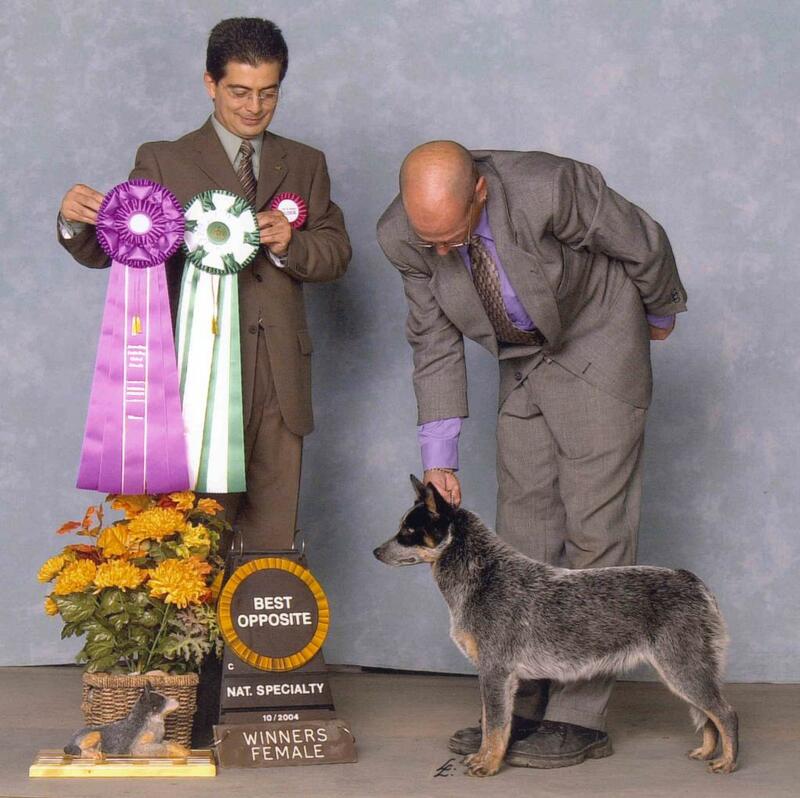 He was so dedicated to both the breed and herding and willing to pass along that enthusiasm to all interested. 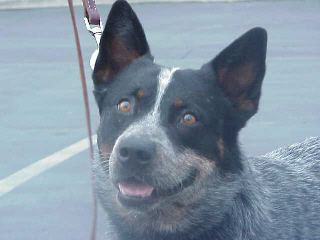 Watching Steve with Kate and Pete in the early 90's influenced others to take their cattle dogs and put them on stock. The Waltenburgs have always been very involved in this venue and today Steve is a trial judge and also instructor in herding. 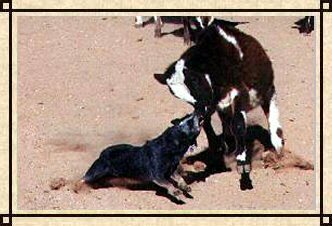 I have long admired this couple and the many hours training, working, traveling and volunteering for the cattle dog as they were meant to be - a working dog. It is through the generosity of my friend Dr. Laura Steward, DMV of Cimmaron Farms in Ethel, Wa. 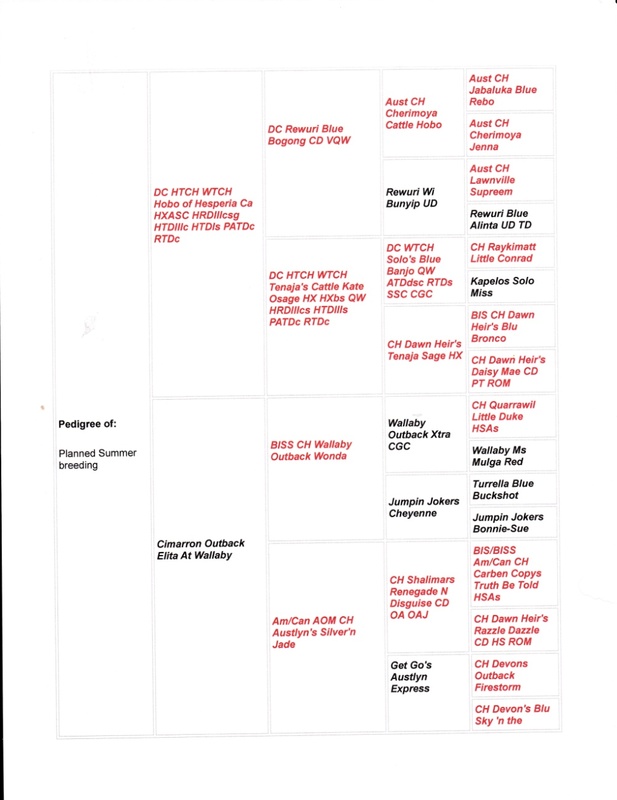 that I am able to lease Elita for this breeding. Laura, myself and Jane Ward of BC Canada co-bred this gal. Elita herself worked on a goat farm while in So Calif before coming back to Laura. Elita has a very solid temperament, nicely structured and balanced movement. 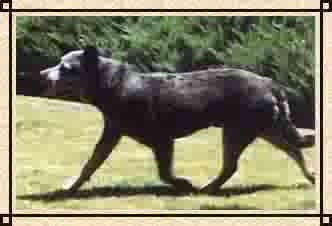 Elita has a littersister owned by Jane - Am/Can CH Aquila's Cat Dog Ballou AKC HSAs CKC HIAs, also a litter brother that works on a goat ranch in Oregon. Elita's Mom Jayda is dam to Paul Murrays Aquila's Forbidden Kosciuszko. 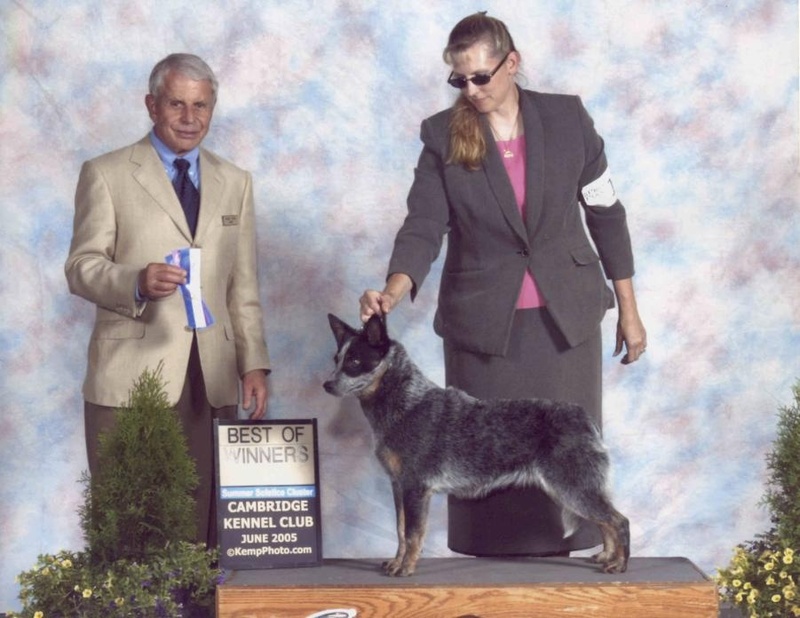 Koz had titles in many venues including herding in AKC, AHBA, CKC and ASCA herding programs and agility. 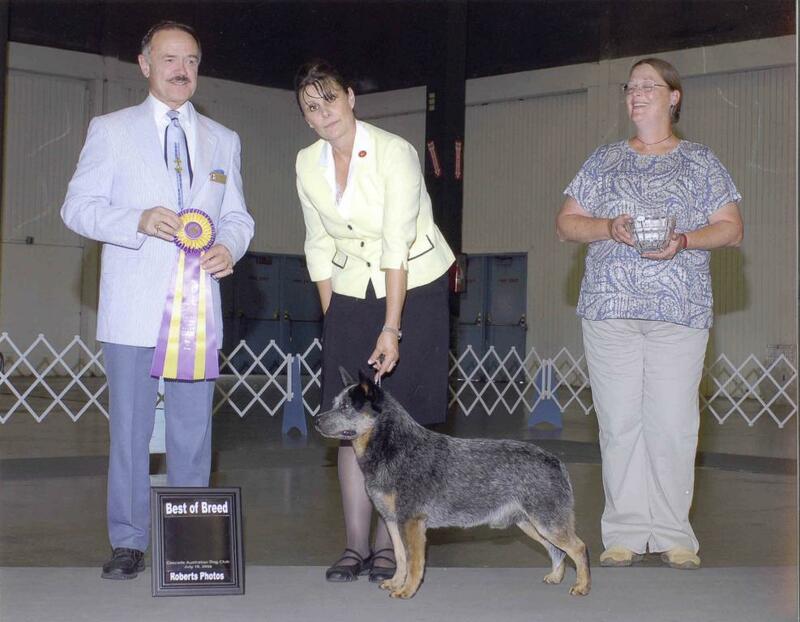 Koz began her herding going HITs and garnered a HIT cattle at the 2010 ACDCA National and RHIT overall for both days. 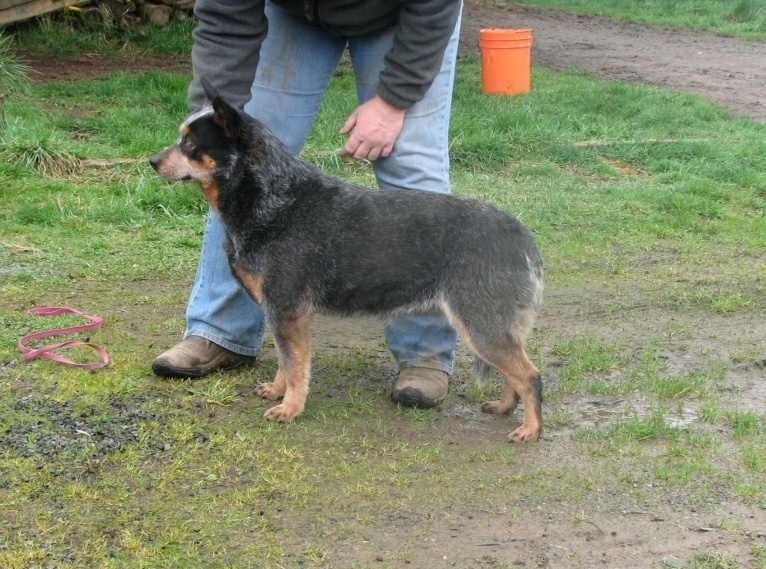 Elita's sire comes from Wallaby kennels which began with stock dogs from Australia. The pups will be prcdPRA obligate A or b. Both parents are OFA good for hips and BAER normal. The pups will have health checks before leaving, tested for hearing, microchipped, wormed and vaccinated before leaving. 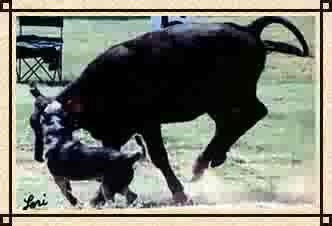 I plan on having the pups herding instinct tested on goats prior to leaving. 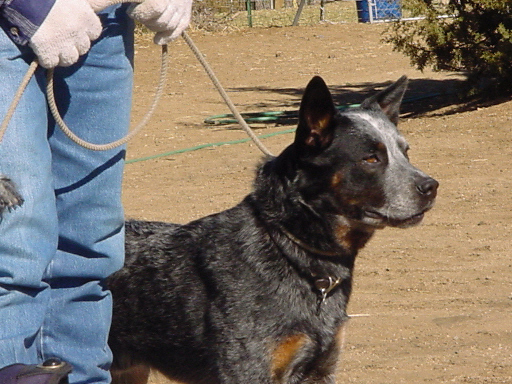 Homes that offer the opportunity for herding will be preferred.